The truth about the planking. If you have come from Hodgy’s blog then let me explain. 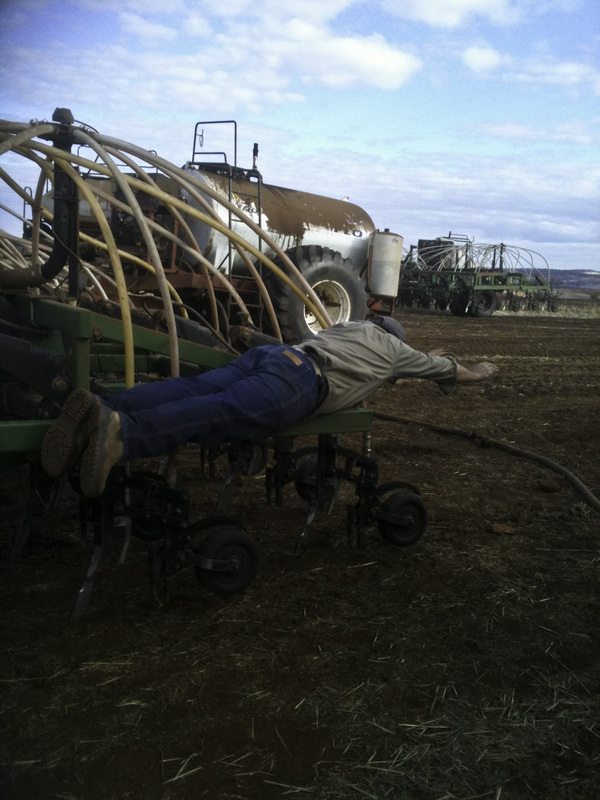 The shot he put up is not me but one of the guys working on the seeding. The seeder I’m driving broke an axel for no real reason with 15 tonne of product in it. So while we were fixing it the talk got around to planking and we had to have a go for a laugh, anything to break up fixing the axel. If there are any psychology students that want to do a paper on why grown sane men would want to do this then come and see us. It was good fun at the time … but you had to be there !! 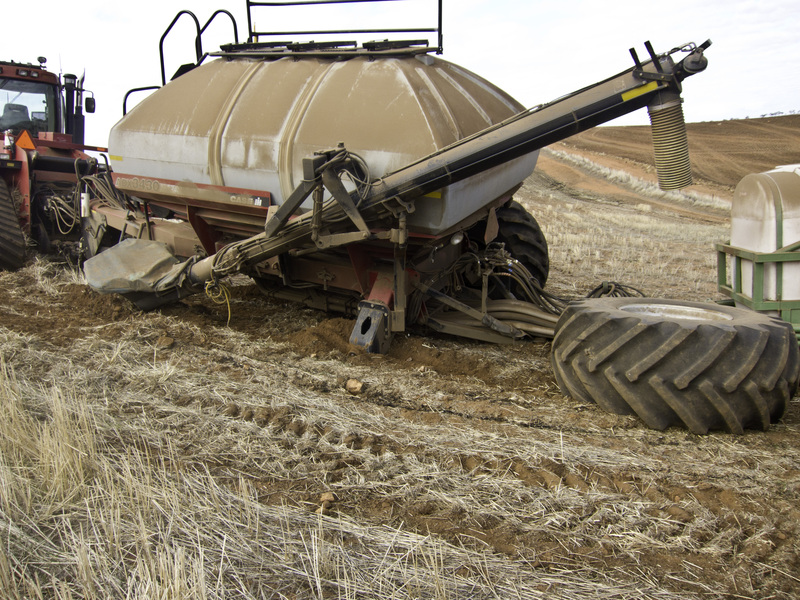 This is the sad and broken seeder bin. 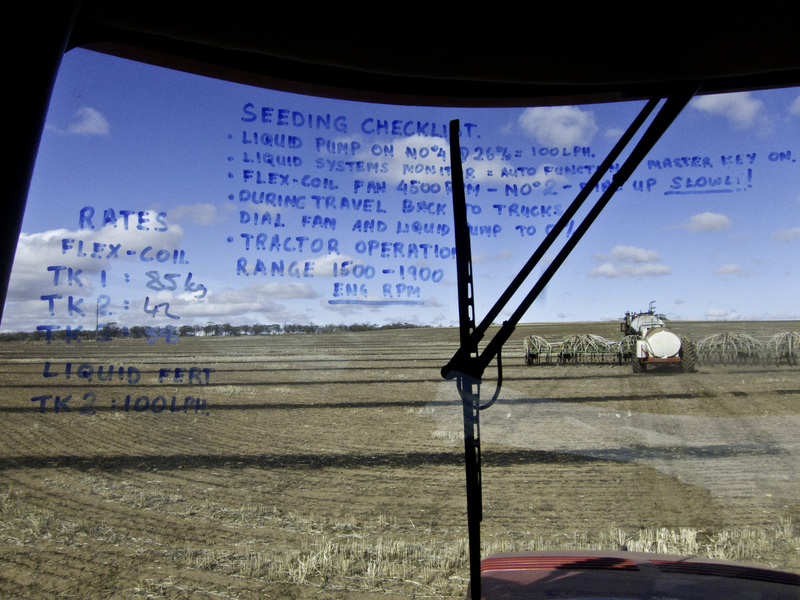 We’ve scribbled some notes on the tractor window to remind us of a few things. 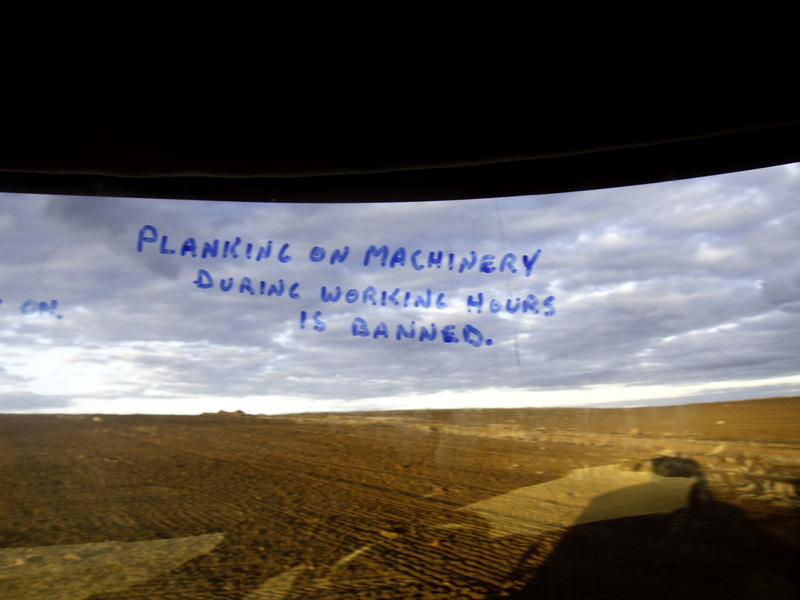 I’ve put a new message on my window. 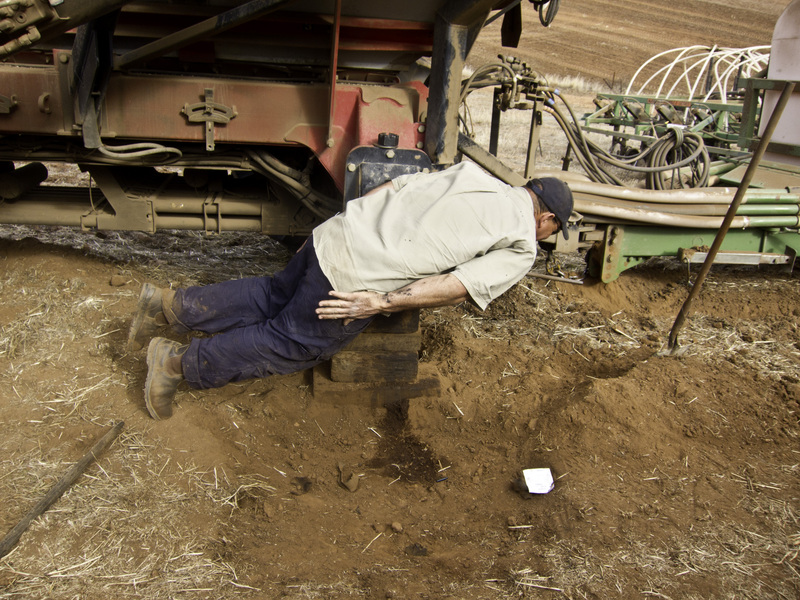 Now this IS actually me “planking”, but apparently it is a disallowed plank as you are supposed to put your arms by your side I’m told. With the dry season the sight of sheep walking to water late in the afternoon is a little sad looking. But it is a fairly normal scene most years in the wheatbelt. With recent rains there is a little green starting to show and hopefully the sheep will be happily grazing green grass very soon. 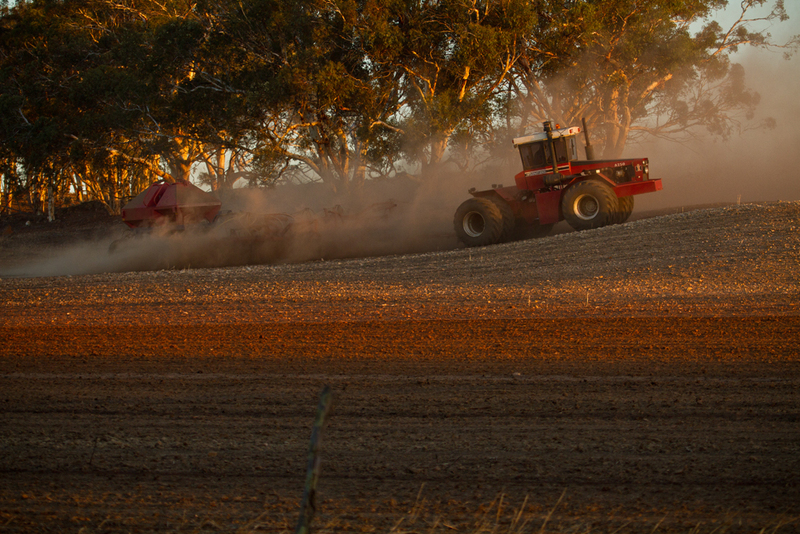 This was shot this morning just north of Toodyay in the Avon Valley. This is highly productive grazing country … well it is in a normal year. After last years poor rainfall and a couple of big wind events early this year the county is looking grim to say the least. Given a good rain this country here will green up in no time and be lush again. We just need that one decent rain. I jumped in a pen of orphan lambs today and they were really inquisitive little fellas. 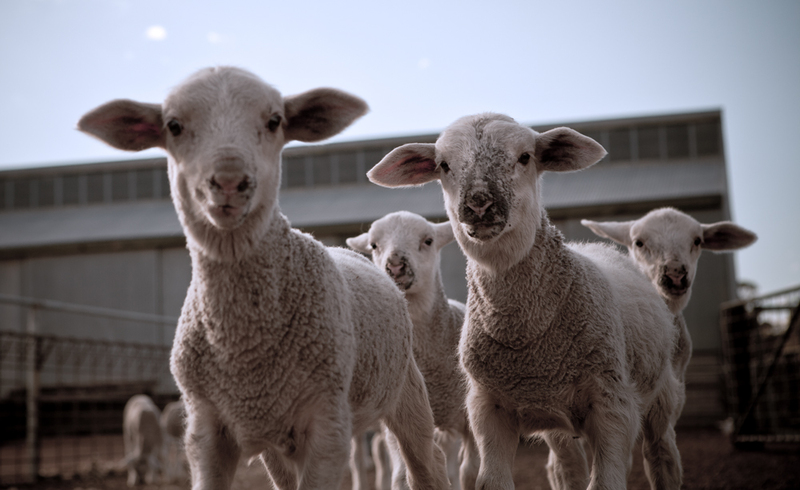 They would come right up to me then run away so I held the camera on the ground and just fired a couple of shots when they stood still. With the dry season a lot of their mothers are just abandoning their new borns. So if the foxes or eagles don’t find them first, they are bought home and put on a bottle till they are old enough to go back to the rest of the mob. They really are cheeky little devils. It’s a bit bloody dry mate !!! With one of the driest years on record last year , no summer rain and virtually none so far this year farmers are a little on edge. There has been a little bit of risky dry seeding happening , mainly Canola but most guys are waiting too see how much rain we get and when it is going to come before committing to really getting seed into the ground. 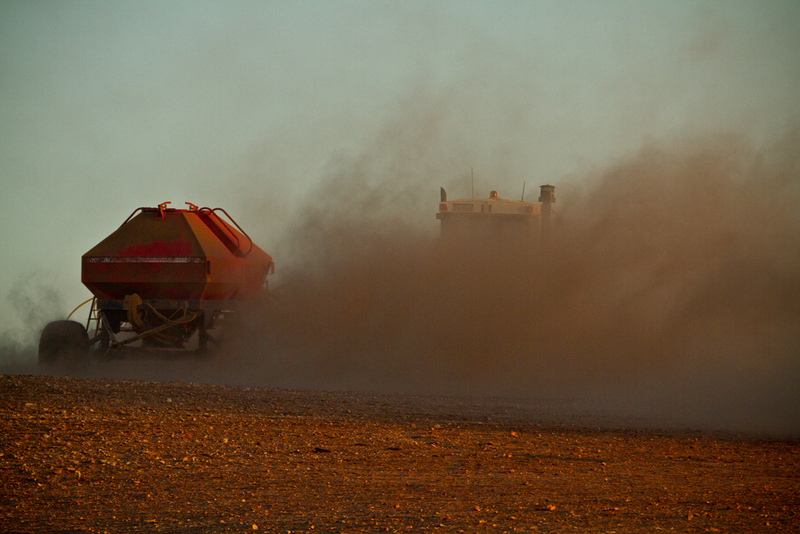 I saw this on the road tonight on the way home , this is a mate of mine seeding Canola. Doing a bit of work around the garden this afternoon . Just walked out and here’s the dog ,Sally, laying asleep in the garden. I had to grab a quick shot. 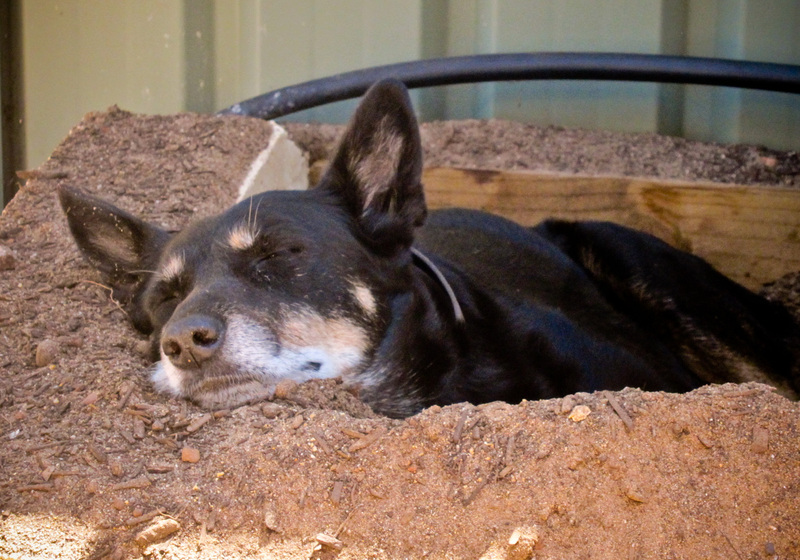 She had dug out the dirt I just put there and made herself a bed in the sun. This is shot out in the Little Sandy Desert, a world away from the previous image thats for sure. The little tracks were not much bigger than a couple of match heads and there is no tail dragging so I have no idea what it could be. A small bird I’m thinking , looks like it could be claws. One from the trip to Europe last year. Shot this on a beach in France near Mont St Michel. We were walking out to the Abby and I saw this on the beach and it seemed to be the only shell around. I will find a shot of the Abby, its quite spectacular.